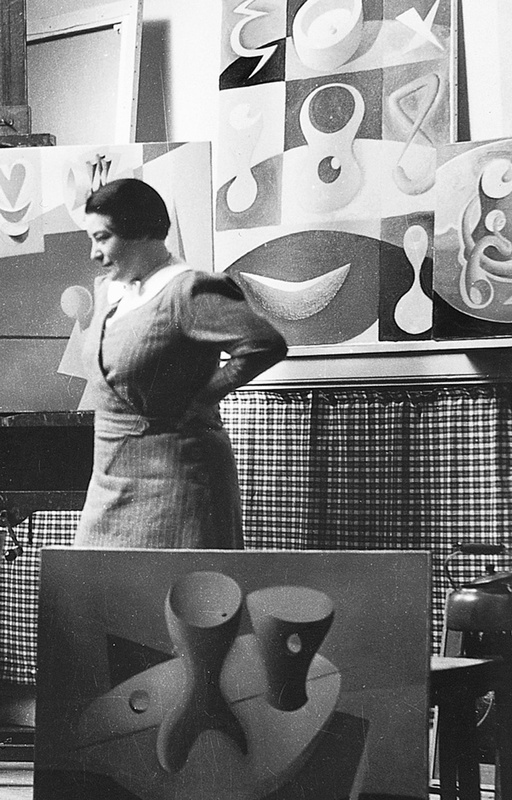 Paule Vézelay in her studio, 1934. 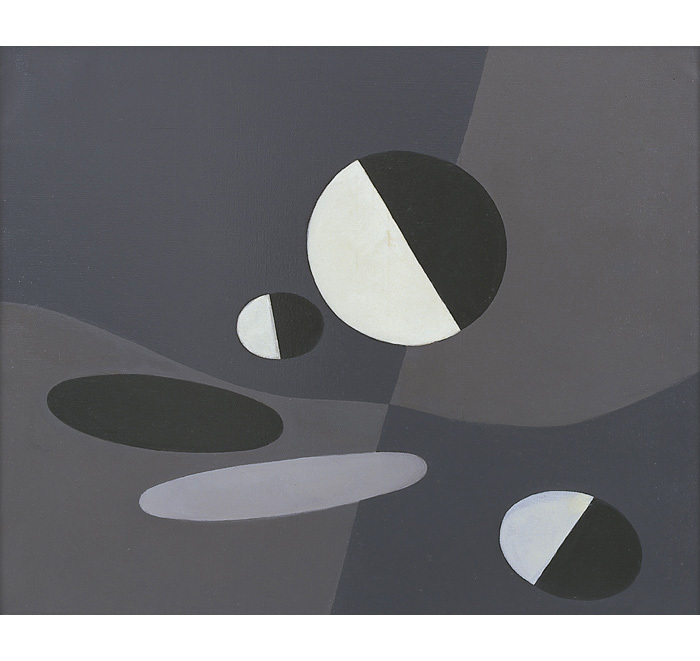 Paule Vézelay was a British artist who became an active member of the Parisian avant-garde, and an innovative abstract artist. 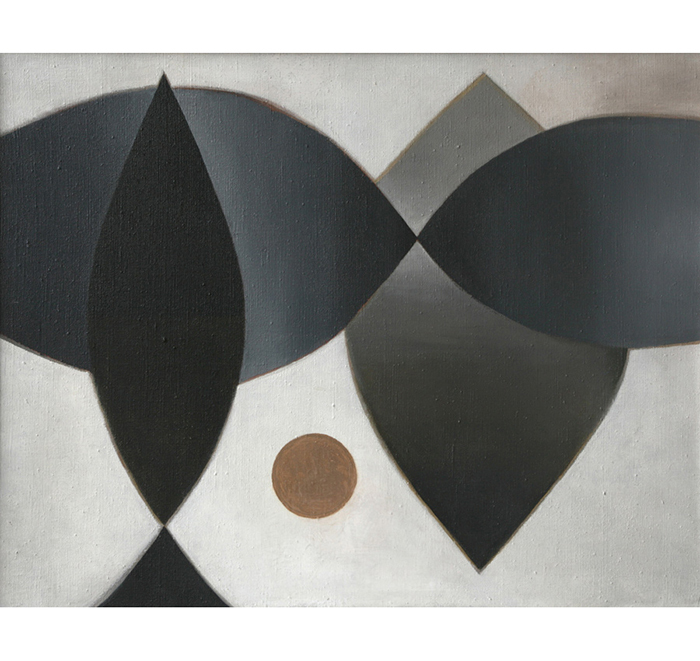 She was a member of the group Abstraction-Création and exhibited in several significant exhibitions of non-figurative art in Europe in the 1930s. 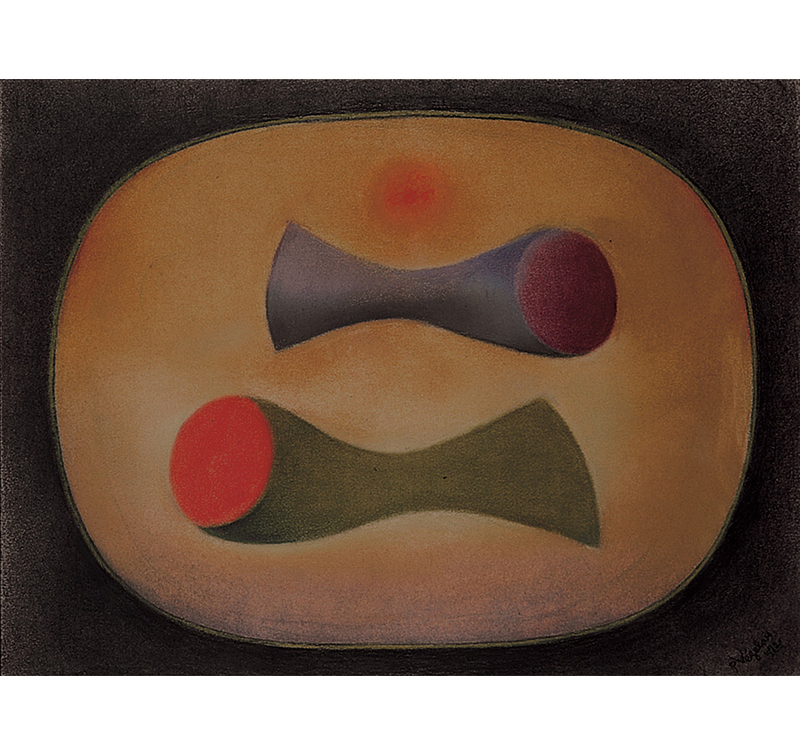 After moving to France and adopting the name Paule Vézelay, she lived for several years with the Surrealist artist André Masson, and mixed with many of the most significant artists of pre-war Paris including Kandinsky, Miro, Mondrian, Jean Arp and Sophie Tauber-Arp. 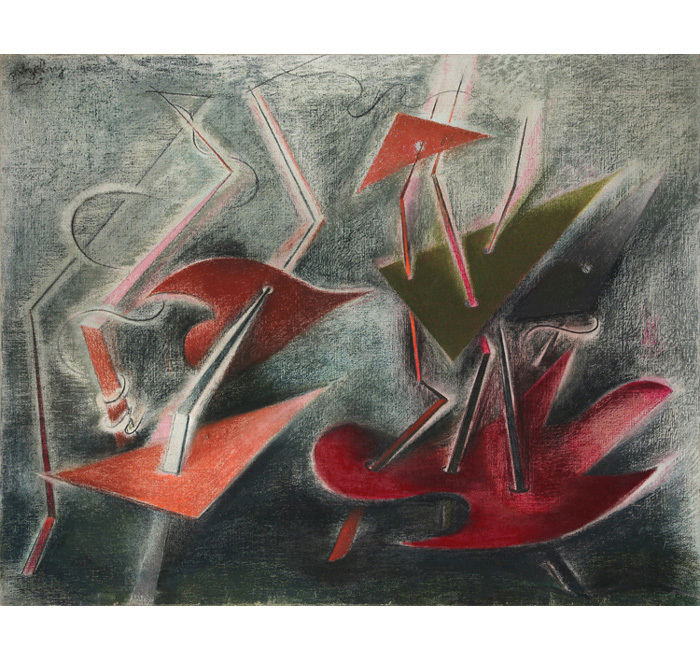 Vézelay’s early work was figurative, but apart from her Surrealist-inspired works from the 1930s and her wartime drawings, she was one of the first British artists to commit totally to the abstract movement. In 1939 Vézelay returned to England, but continued to exhibit regularly in France after the war. 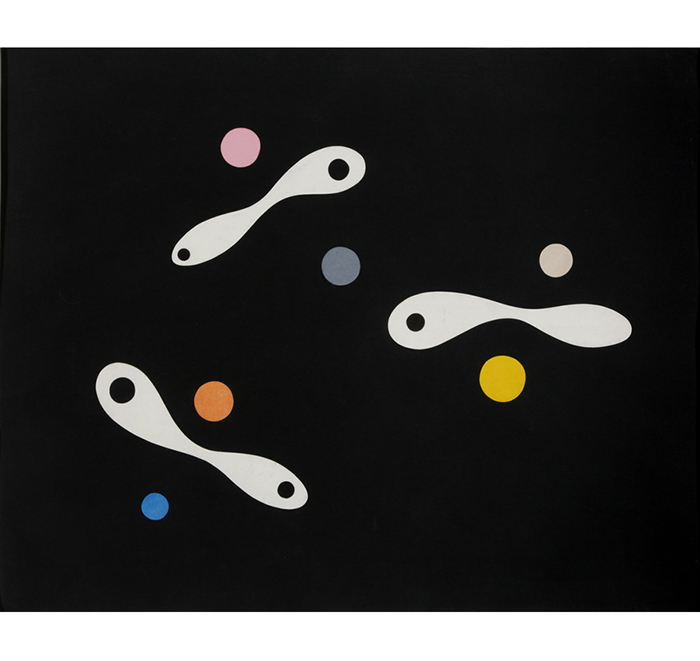 In England, she almost disappeared from public view until the Tate Gallery retrospective exhibition of her work in 1983. 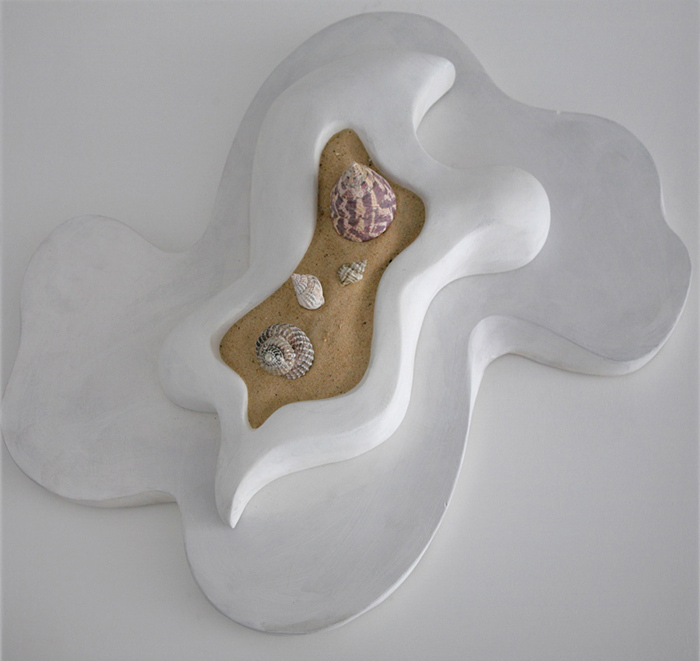 England & Co have represented the Estate of Paule Vézelay since 1988, and her work is represented in museum and public collections in Britain and abroad.